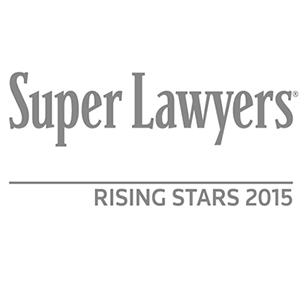 DALLAS – Five attorneys from Dallas’ Sayles Werbner are being recognized among the top young lawyers in the state in the 2015 Texas Rising Stars list based on their courtroom work in Texas and across the United States. Once a year, the publishers of Texas Rising Stars identify the state’s leading attorneys age 40 and younger, as well as those who have been in practice no more than 10 years. The annual guide is based on nominations from other lawyers and an exhaustive review by the publication’s editors. Only 2.5 percent of eligible Texas attorneys are selected for the honor each year. For more than 20 years, the attorneys at Sayles Werbner have represented businesses and individuals in a variety of legal matters. Last year, firm co-founder Mark S. Werbner and Mr. Israel successfully represented a group of U.S. citizens who were victimized in 24 separate attacks conducted by Palestinian terrorist groups in the West Bank and Gaza from 2001 to 2004. The federal court verdict against Jordan-based Arab Bank PLC marked the first time in history that a U.S. jury held a foreign bank responsible for providing material support to terrorists.